ASCO developed the Clinical Cancer Advances report to document the progress being made in clinical cancer research and to highlight emerging trends. 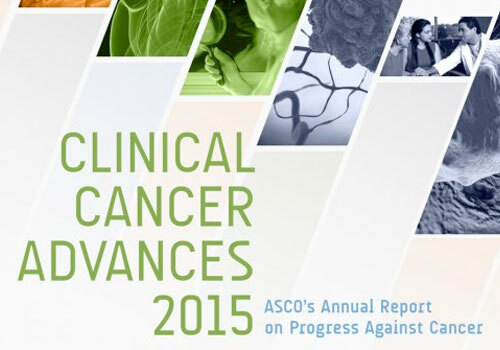 ASCO developed the Clinical Cancer Advances report, now in its 10th year, to document the important progress being made in clinical cancer research and to highlight emerging trends in the field. This report serves to outline to the public progress achieved against cancer by reviewing the major advances in clinical cancer research and care each year. As a whole, this document attests to the current state of the science and envisions future directions of cancer research. Read the full report here.